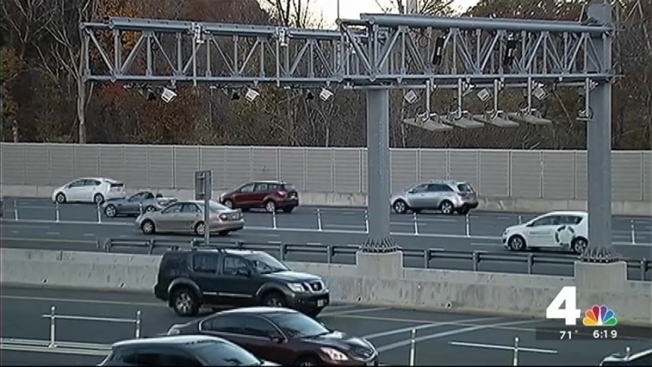 A class-action lawsuit against the operator of the Express Lanes in Virginia over what drivers claim are excessive fines will be able to proceed, a judge has ruled. The seven drivers in the suit claim they've been hit by excessive fees and penalties after missing some relatively small toll payments. They also say they weren't given fair warning that they missed the tolls. "It's just unconscionable that these minuscule fines would reap Transurban all of these benefits," Kevin Stanfield told News4. His wife, Anna, is one of the plaintiffs involved in the suit. Stanfield said he hadn't realized his credit card expired, and as his wife continued to use the lanes, the missed tolls tied to the expired card racked up. He said he wasn't notified until it was too late. At that point, Transurban was seeking $8,380.70 in fines and fees. The Stanfields ultimately had to settle by paying thousands of dollars. "Oh yeah, they allowed my $29 in missed tolls to be forgiven by me paying a paltry sum of $2,200," Stanfield said. "They were doing me a favor. It's just incredible." The drivers filed the lawsuit against against Transurban, which operates the Interstate 495 and 95 Express Lanes, and two other companies, Faneuil Inc. and Law Enforcement Systems, which help Transurban process violations and collect debts. A judge has ruled that six claims in their lawsuit can move forward, although he dismissed two others. While the judge's ruling is a win for anyone who feels like they've been slapped with unfair fines along the Express Lanes, the case isn't over yet, and some drivers are still worried about the thousands of dollars in fines they owe. "For the case of our clients and the plaintiffs in the case, they didn't even know that they had ran a toll until months or even in some cases, a year later, and that's because the notice program that Transurban and others impose -- we believe is inadequate under the law," said attorney Nathaniel Giddings of Hausfeld Global Litigation Solutions, a law firm representing some of the drivers. In a statement Wednesday, Transurban said, "We are confident the process will demonstrate that Transurban's enforcement policy ensures customers are informed, provides significant opportunities for customers to avoid escalating fees, and is far more lenient than what is prescribed by Virginia law." For now, the frustration of drivers like Stanfield remains. "It would be different if we were guys trying to sneak onto the hot lanes -- but these are people who made honest mistakes or had a mechanical malfunction," Stanfield said. Transurban said it's working to make sure these issues don't continue to happen. The company announced a "first-time forgiveness" program last year, but the plaintiffs claim the new policy fails to resolve the problem of "excessive, illegal, and unreasonable fees and fines," according to the judge's memorandum opinion. Drivers who feel that they've been unfairly hit by Express Lanes fees can contact Hausfeld Global Litigation Solutions to learn about joining the lawsuit.